The guestbook's property guide provides the essential information your guests need about their rental home like arrival times, WiFi codes and rules for maintaining the house. The Master Guide supplies the basic information for all your rental properties. Customize it as needed for each property, adding instructions for using the hot tub or fireplace, for example. The guestbook's destination guide give your guests all the information they need about the area's best restaurants, activities, events and essentials, like the nearest grocery store and pharmacy. Start with basic information provided by our search algorithms, then customize it as you please. The guides update automatically saving you time and effort. 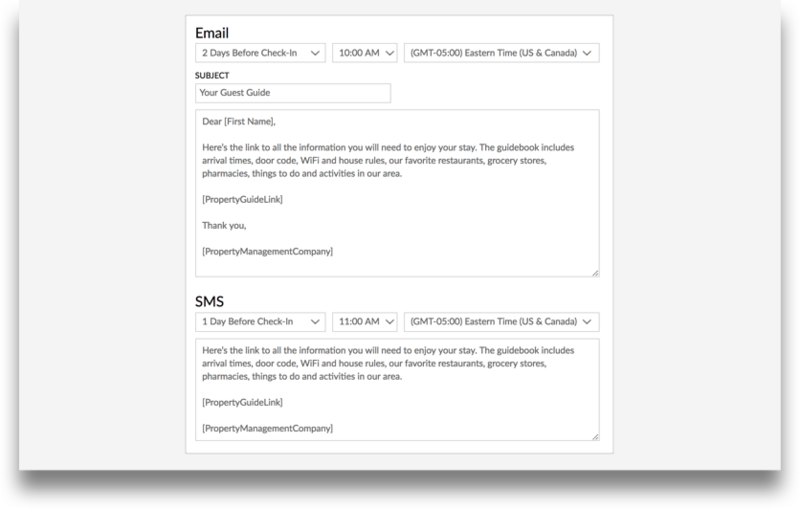 Smart Messaging enables guests to send text messages to you or your team before, during or after their stay. 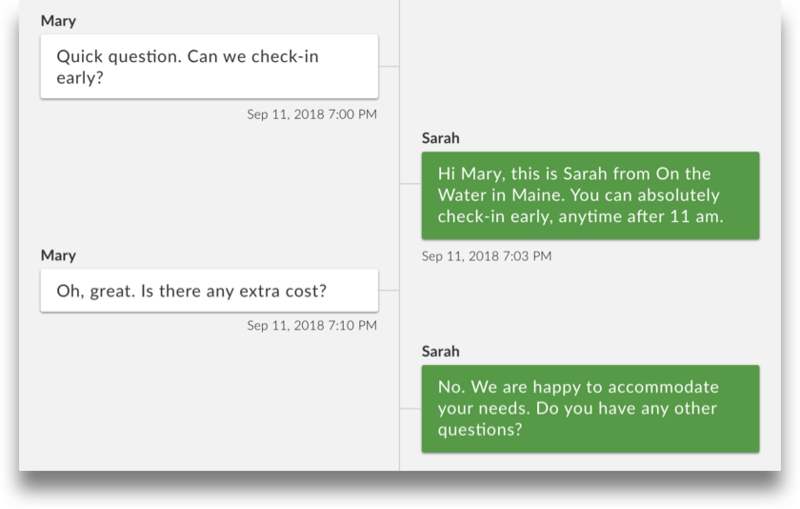 This means guests can ask questions like the location of the nearest pharmacy, how to turn up the heat or whether early check-in is possible and get an instant reply. All team members receive copies of each message and response during office hours to insure that each query is addressed. 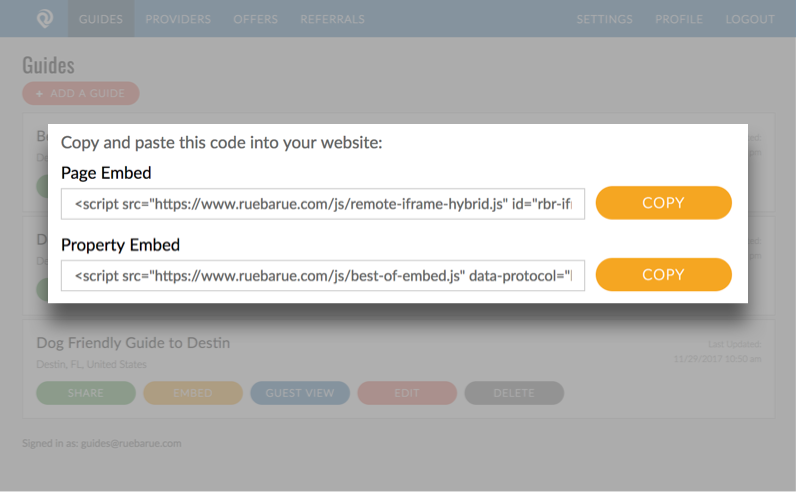 RueBaRue integrates seamlessly with leading vacation rental software. 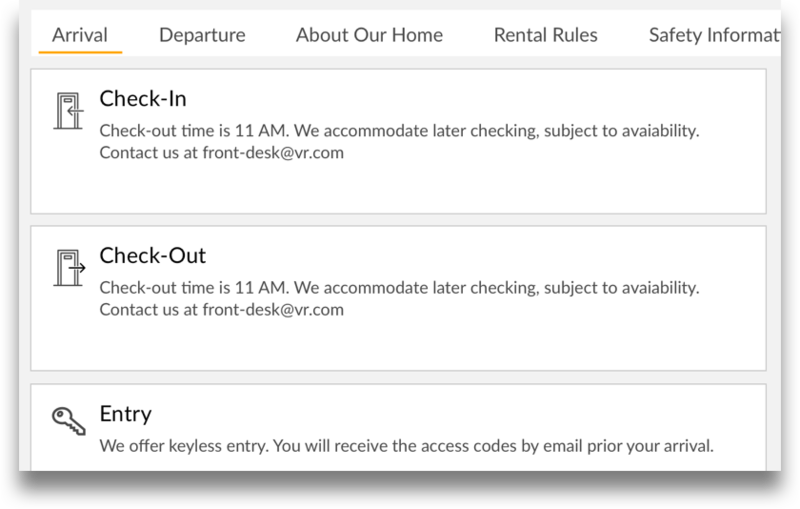 This means it's easy to import guest arrival information and schedule automatic delivery of the guestbook by email and text on the dates you choose. Share the guestbook with your guests by email or text when they book or before they arrive. RueBaRue can electronically deliver the guestbook or you can send it through your CRM system. Guests can use the guestbook to help plan their stay. 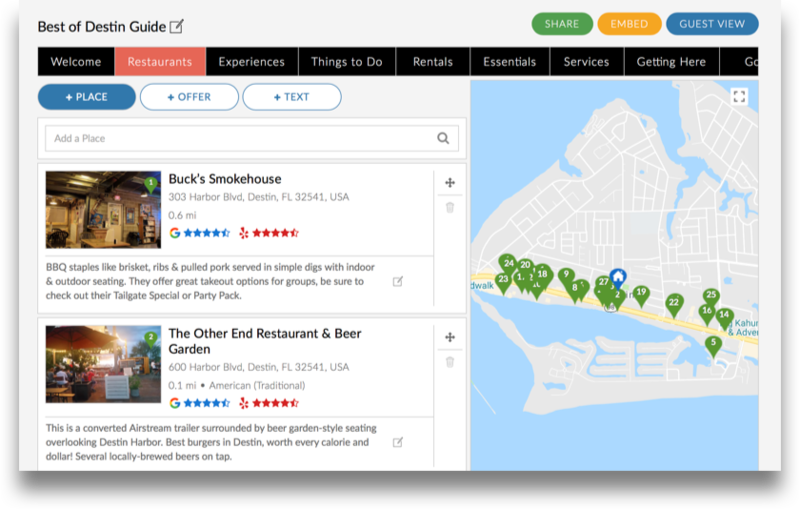 Destination guides may also help convince undecided renters to book after seeing what the area offers. It's easy to embed a guide in a promotional newsletter, email or blog item. 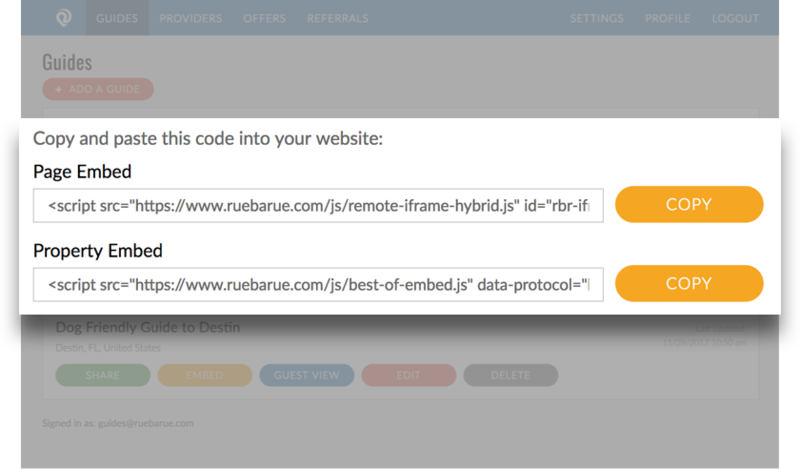 Embed the guestbook into your website with a single line of code. It's as easy as inserting a YouTube video. Our platform integrates with any type of vacation rental software. Guests can view the guestbook from their smart phones, tablets or computers.